There is growing consensus in Iowa and around the country that employment in the general workforce should be the expected and preferred outcome of employment-related services. A job establishes someone as a contributor to, and full participant in, the community. In addition, the U.S. Department of Justice has affirmed in numerous settlements that the Olmstead community integration mandate applies not only to where a person lives, but to what that person does during the day. Meaningful daytime activity, including employment, is an essential part of an individual's successful transition from institution to community living. Employment plays a key role in someone's sense of well-being, and facilitates and solidifies community inclusion and self-sufficiency. Real jobs and income are how most people maintain independence and create economic security for themselves and their families. Community based integrated employment is now the gold standard in employment service outcomes, receiving national attention. CDD efforts also include providing information for individuals, families, health service providers and care coordinators about the employment services changes and benefits of community inclusion and integrated employment. Efforts also focus on capacity building for employment service delivery, including training and development of direct employment services staff and supports for community providers' efforts to transition to primarily community services. CDD also worked on the development of a comprehensive E1st Guidebook and an Employment First information brochure for parents. CDD has completed an Individual Employment Outcomes Data Collection Pilot on behalf of the Iowa Coalition for Integrated Employment (ICIE). This pilot project was undertaken in an effort to lay a foundation for individual employment data and outcome data collection statewide. The survey report summarizes the feedback and the individual outcomes data collected from 19 employment service providers. The providers surveyed reported on an unduplicated total of 2,104 persons who work in individual, group, and facility-based settings, and those who are self-employed or receiving job development services. The University of Iowa Public Policy Center researched the effects of employment on health care costs of Medicaid members. The dramatic results show that Medicaid members with disabilities participating in Iowa’s Medicaid for Employed Persons with Disabilities (MEPD) program and covered only by Medicaid have $161 per month lower Medicaid claims than Medicaid members who are not participating in MEPD. By multiplying the average saving of $161 per month by the 129,259 eligible months for MEPD members covered during the study period, we estimate the cost reductions are over $20 million during 2011. Cost reductions for MEPD participants also covered by Medicare are estimated to be twice that much. Read more about the Costs of Health Care study. For more than 10 years, CDD administered Iowa's Medicaid Infrastructure Grant (MIG) on behalf of Iowa's Department of Human Services, with funding from the Centers for Medicare and Medicaid Services. MIG helped Iowa Medicaid members learn about work incentives, benefits planning, and increasing economic self-sufficiency. 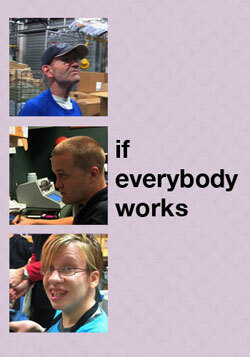 In collaboration with many Iowa partners, thousands of Iowa job seekers with disabilities were introduced to Home and Community-Based Services that support employment, Small Business/Microenterprise Development, Ticket-to-Work, AmeriCorps, and other employment services and supports available to people with disabilities. Increasing economic self-sufficiency is a major goal of working. Several years ago CDD published a compressive report on self-sufficiency and asset development strategies and helpful hints about employment related supports. This information, while several years old in still applicable today. Additional information on working and benefits is available from Disability Rights Iowa Benefits Planning.